When looking through any menu one of the first things that usually catches my eye is fresh seafood. This is especially so as the weather heats up. Just give me a few oysters and some ceviche and I’m a happy camper. To me it’s guilt free indulgence. 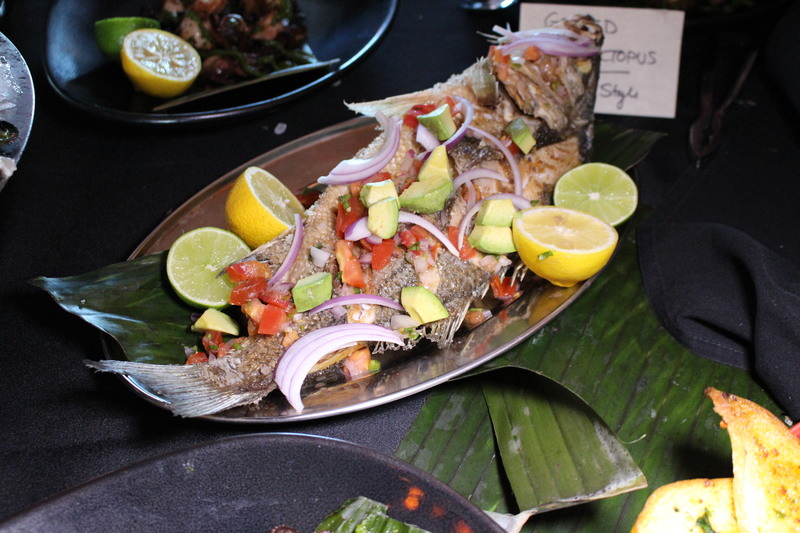 So, needless to say when Sol Cocina’s Executive Chef, Deb Schneider introduced her new Baja inspired seafood menu at a recent tasting, I was all in. Chef Deb has built a reputation for serving up traditional Baja dishes with her own modern take emphasizing big bold flavors and the freshest of ingredients. And now for those who appreciate a lighter side of dining her new seafood offerings are an exciting and welcome addition to her menu. Says Chef Deb, “With this menu, we’re pulling back another layer of Coastal Mexican cuisine and diving deeper into the heart of Baja’s culinary culture – fresh seafood.” Adding, “Our new ultra-fresh seafood selections offer just a taste of what’s to come at our new Playa Vista location,” which will open this year. So what is on her new menu? 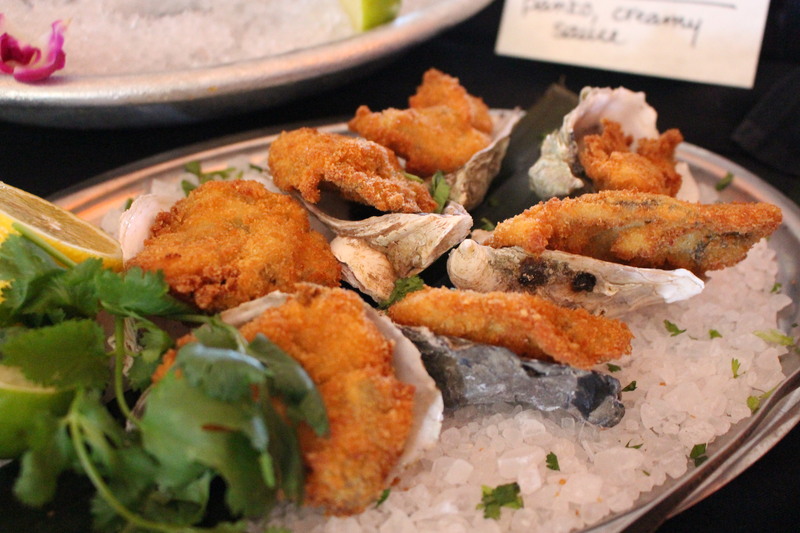 Well if you’re an oyster lover, you are in luck! 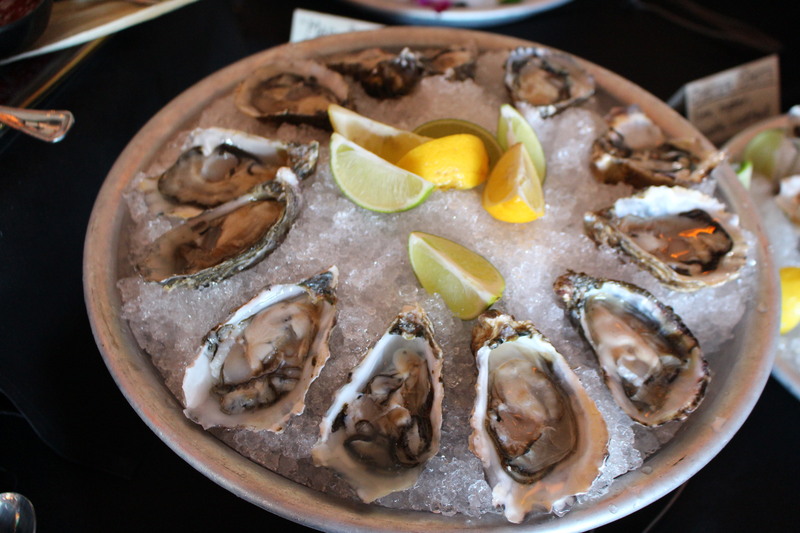 Chef Deb is offering a changing variety of the freshest oysters available. 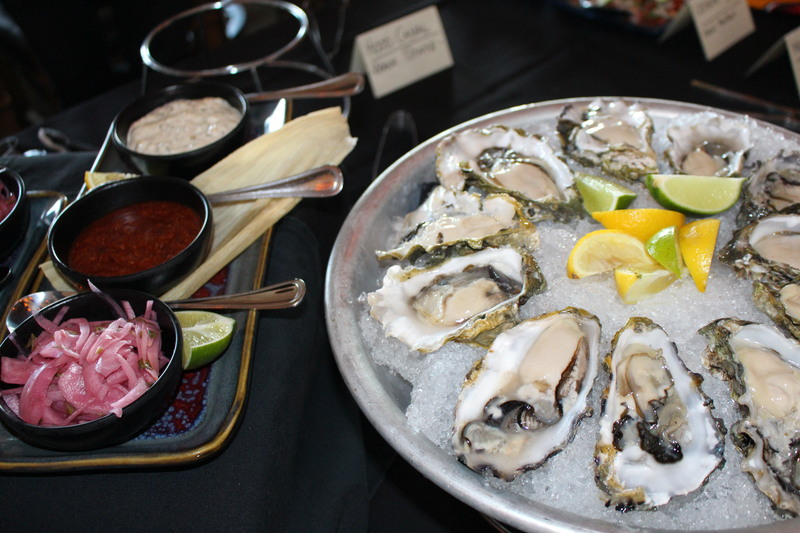 Freshly shucked oysters are served chilled on the half shell with a unique variety of bold and spicy accompaniments including chipotle cocktail sauce, habanero-lime vinegar, limes, and lemons. 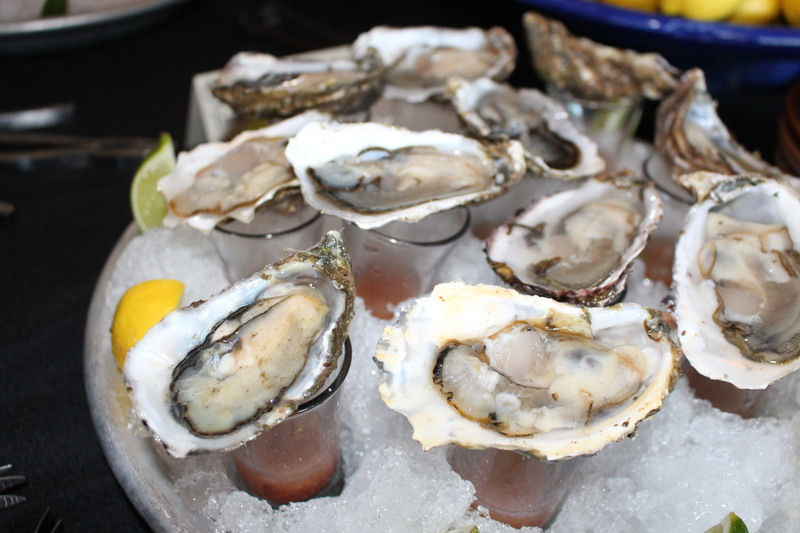 Or try the Oyster Shots with fresh lime juice and a dash of chipotle cocktail sauce and the Mad Dogs – freshly shucked oysters with fresh lime, habanero salsa, and smoky mezcal. Prefer your oysters cooked? Try the crispy fried Oyster Bombs. Or the not to be missed, Playa Broiled Oysters served Baja style with melted cheese, chorizo, green onions, and pickled jalapeños. 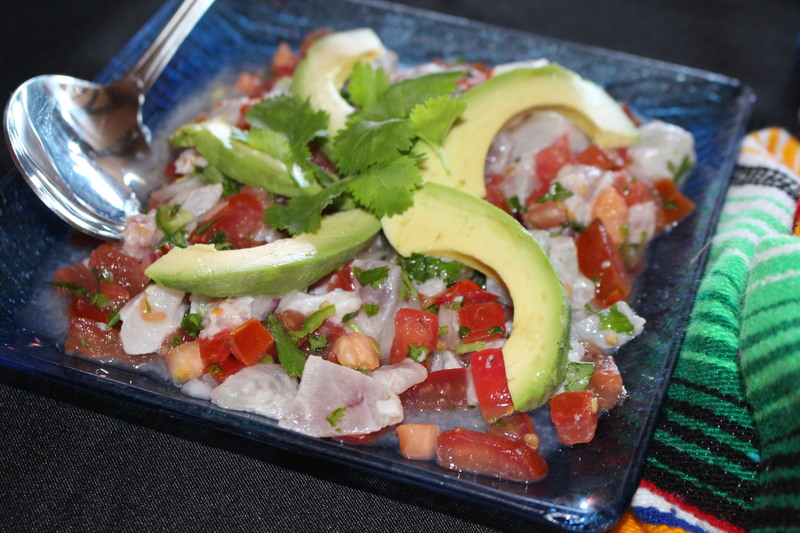 For the ceviche lover, Chef Deb goes beyond the standard lime and lemon juice with cucumber, onion, tomato, and goes for a kick incorporating chilies, salsas, avocado, and fruits. Try the Ceviche SOL, a sushi-grade raw fish- tonight it’s local halibut – with fresh squeezed lime juice, Serrano chilies, pico de gallo, and sliced avocado. Refreshing and just enough heat to make it interesting. 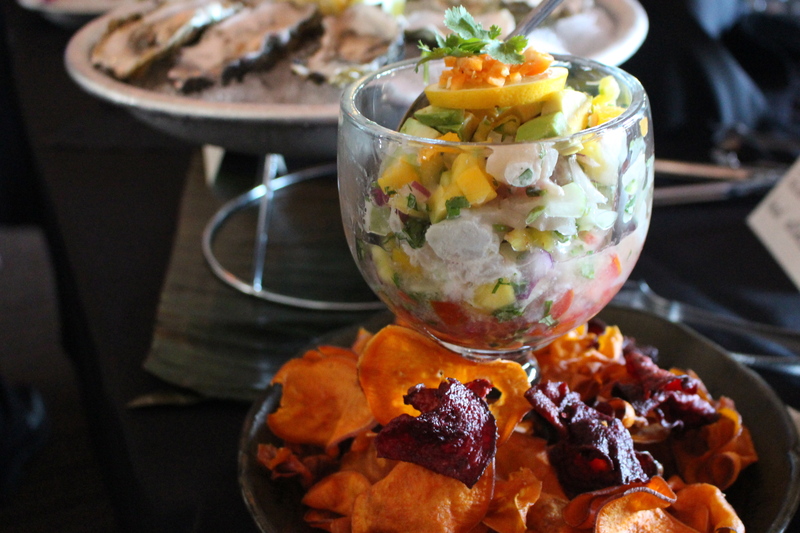 Or “kick it up a notch” with her Hot & Raw Ceviche, a spicy raw fish with fresh lime and orange, habaneros and mango, avocado, cucumber, and pico de gallo served with beet and sweet potato chips. As a sashimi lover, the Crudo Plate was a favorite of mine. 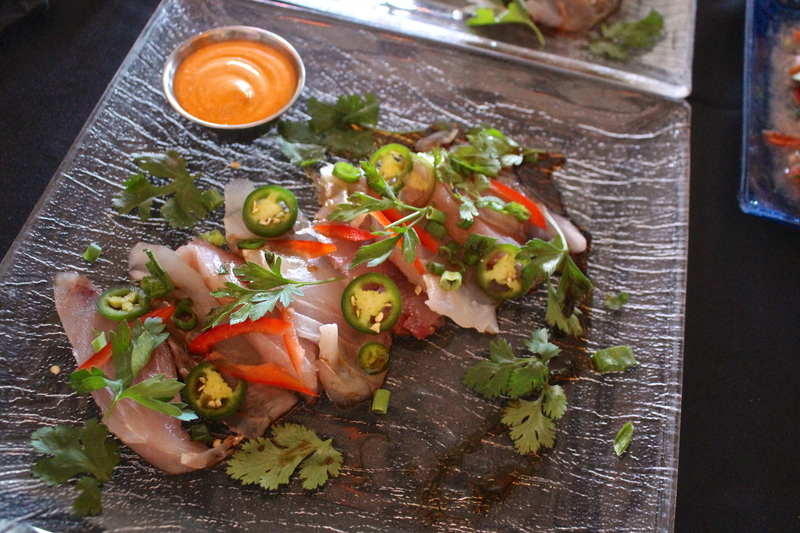 A gorgeous explosion of color, slices of raw local halibut and albacore are served with Serrano chilies, cilantro, green onion, red pepper, soy, lime, and chipotle dipping sauce. As good as the ceviche and raw fish dishes are, I think my favorites were those that were cooked. 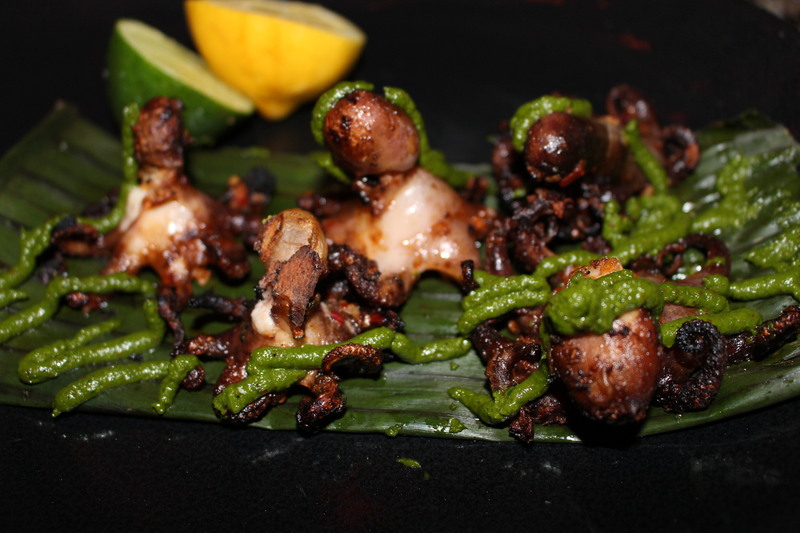 The Grilled Baby Octopus tops my list of favorites for the evening. If I had to select one dish, this would be the one. When it comes to octopus, I’m not a lover of too tender. This has the right amount of chew and is so wonderfully smoky and bursts with flavor. 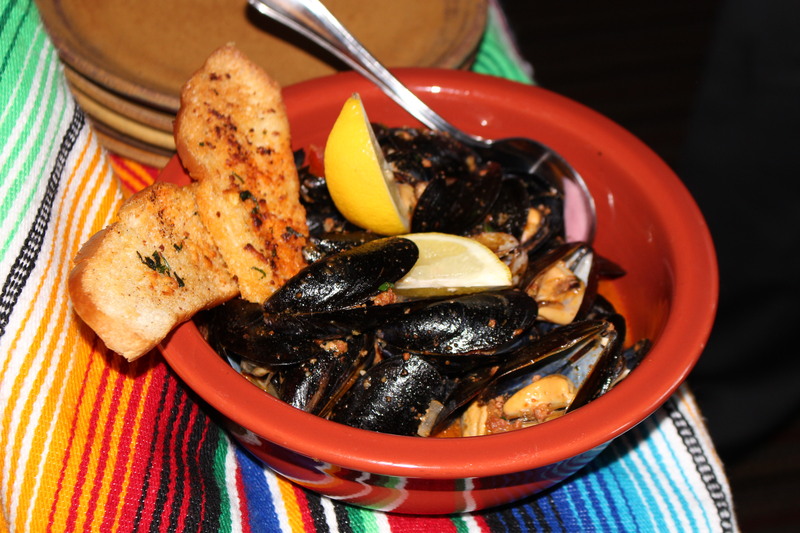 Chef Deb serves hers Spanish style, with olive oil, garlic, lemon, and smoked chile. 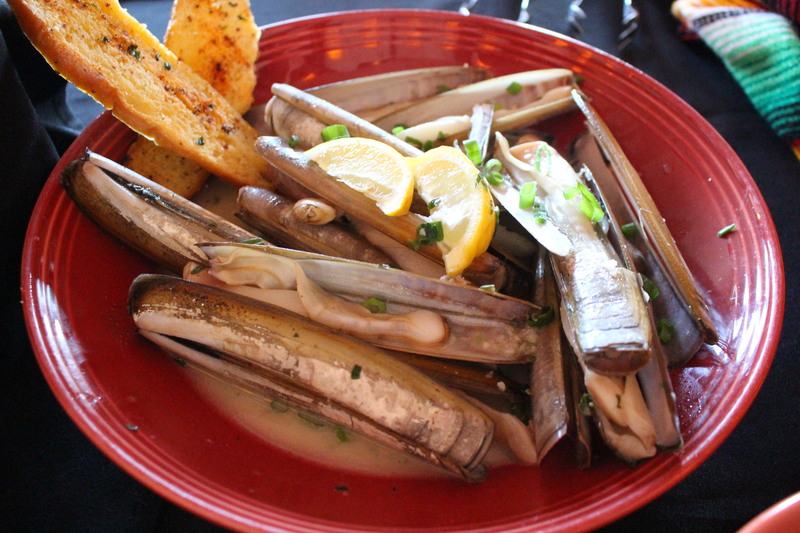 Another favorite for me were the Razor Clams. Simply prepared. The TJ Whole Fried Fish topped with salsa, onions, cilantro, avocado and lime is a mouthwatering show-stopper. Give me some of that crispy skin NOW. This dish is served with tortillas and two sides making it the perfect entrée for sharing. Crab lovers will enjoy the Baja Blue Crab Stack. 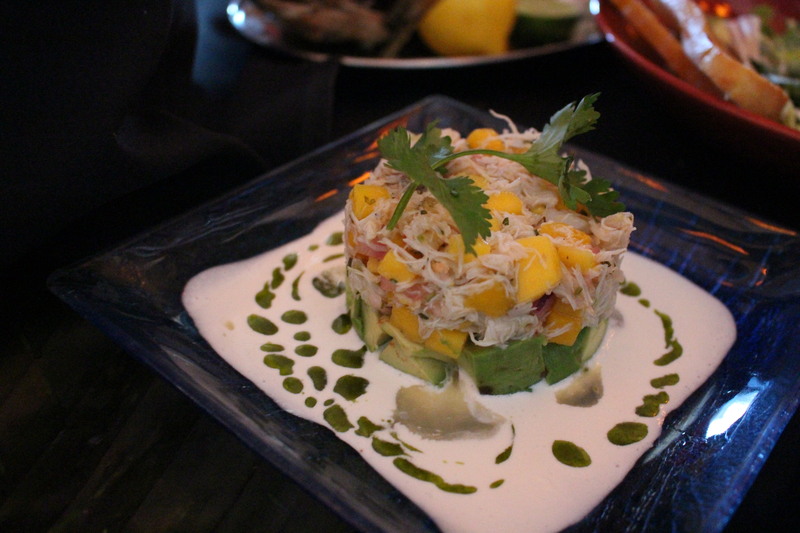 A layered timbale of crab, mango salsa, avocado, and cucumber drizzled with salted lemon cream and cilantro oil. Also on the cooked menu are Mussels and Chorizo served in a garlicky wine broth with tomatoes and the chorizo lending a smoky element. The garlic toasts are perfect for dipping. 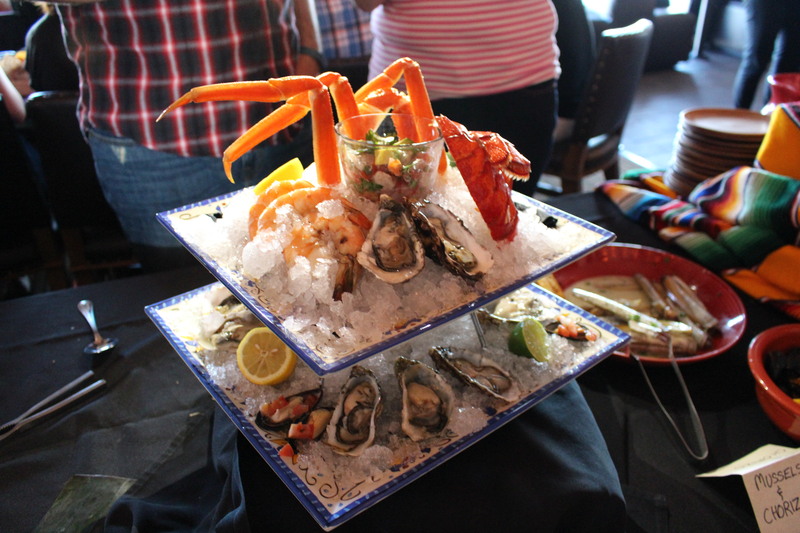 Finally, what seafood menu is complete without a seafood tower? 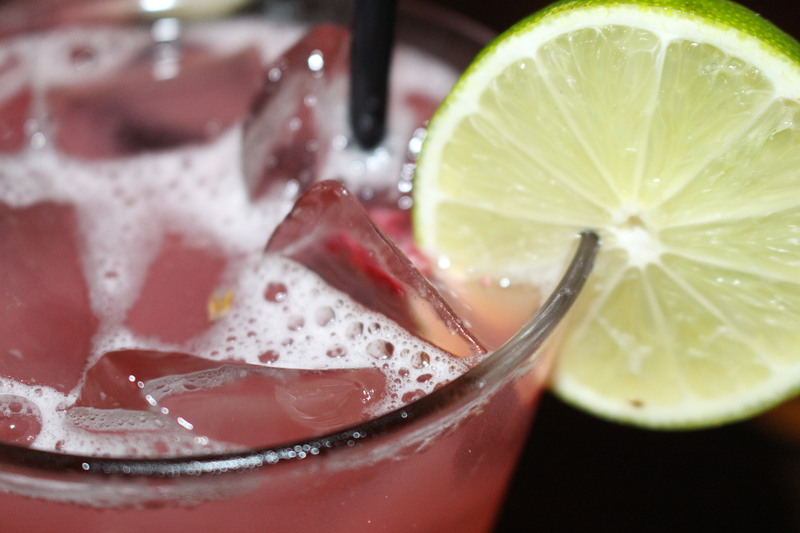 Chose from the SOL on Ice which serves 4-6, Just Chillin’ which serves 1-3, or create your own. Complimenting these dishes are new craft cocktails including the Michelada a spicy Mexican beer cocktail with Clamato, lime juice and Mexican seasoning, the Farmer’s Market Margarita, and the Fish Bowl. 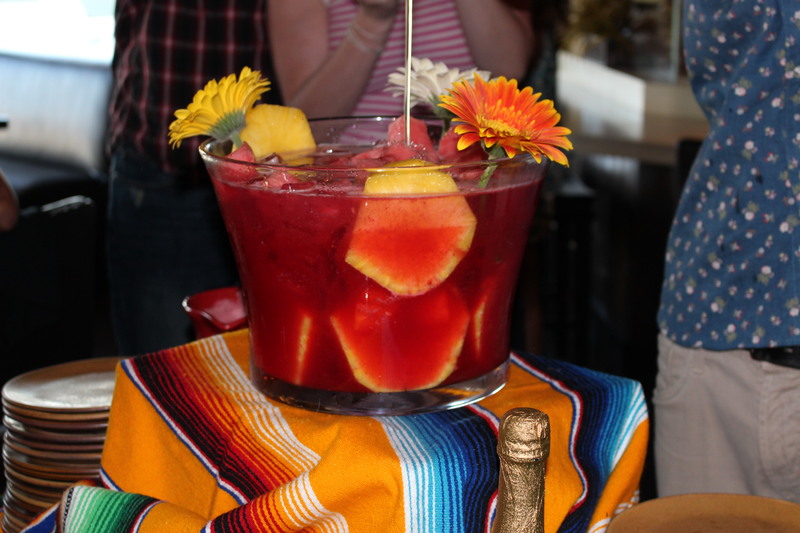 Quite honestly, I don’t remember all that was in The Fish Bowl, but there was tequila, Cointreau, and champagne involved. Enough said. 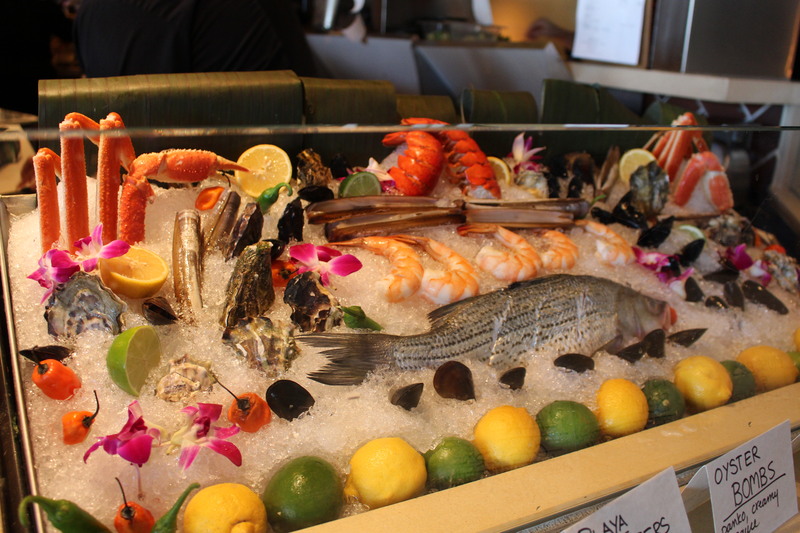 If you love seafood as much as I do, your biggest challenge will be choosing from the menu. Grab some friends and share! SOL Cocina is located at 251 East Coast Highway in Newport Beach.